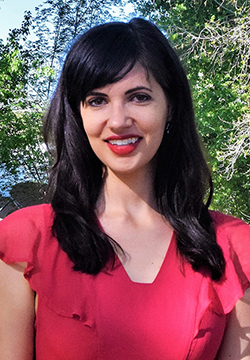 Elisa Borowski, a master’s student in The University of New Mexico Department of Civil Engineering, was selected to receive the 2017 National Defense Science and Engineering Graduate Fellowship. Out of 3,500 eligible applications, the Department of Defense will award about 150 fellowships this year. The fellowship provides coverage of full tuition and mandatory fees at any accredited U.S. college or university offering advanced degrees in science and engineering along with an annual stipend for four years. Borowski will pursue a doctoral degree in civil engineering at Northwestern University in the fall, with a research focus on sustainable and resilient infrastructure systems.